Ramiro Espinoza first got acquainted with Guyot’s work in 2016, while attending the Expert Class in Type Design at Antwerp’s Plantin Institute of Typography. His Guyot is not a strict revival, but rather a contemporary type family that combines the charm of classic French-Flemish roman fonts with the economy and readability of high-performance text faces. 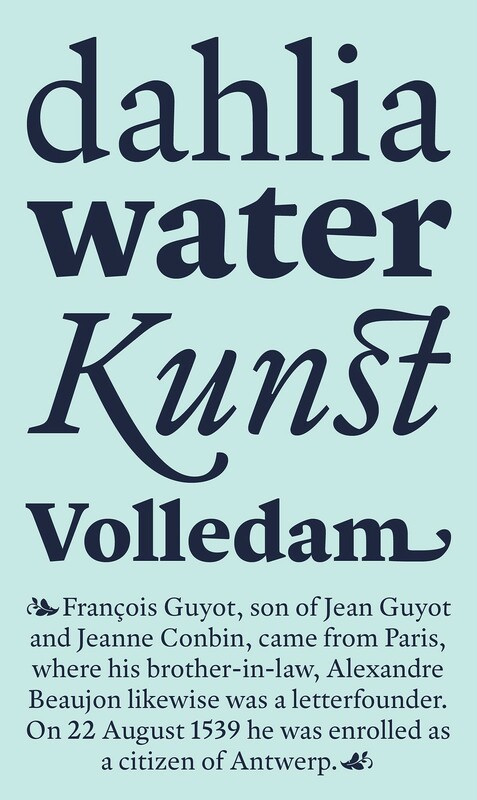 he type family inspired by the work of the sixteenth-century punchcutter François Guyot. While developing the succinct family, Espinoza drew on his previous experience as an in-house newspaper designer. This background played a significant role in the decision to give Guyot Text a sharp and sturdy appearance, with characters designed to remain legible even when printed at small sizes on newsprint. Its generous counters and crisp serifs make Guyot Text an excellent choice for websites and device screens, too. Espinoza also researched punchcutters from the seventeenth century, like Nicholas Briot, Christoffel van Dijck, and Nicholas Kis. 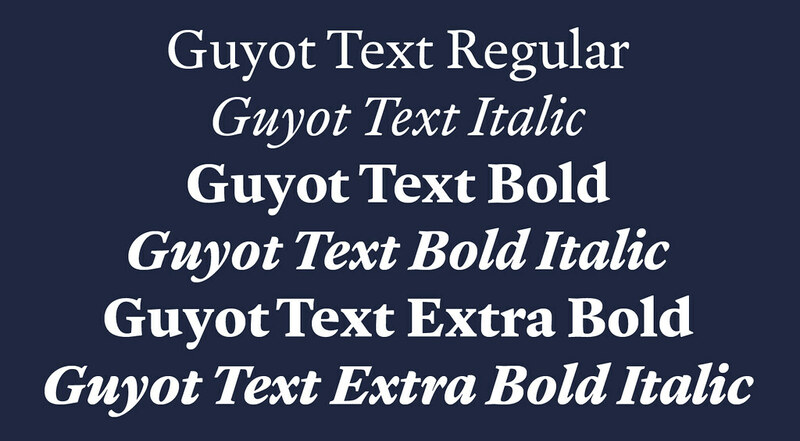 Details common to the types of that period found their way into Guyot, giving it a more familiar and universal look. 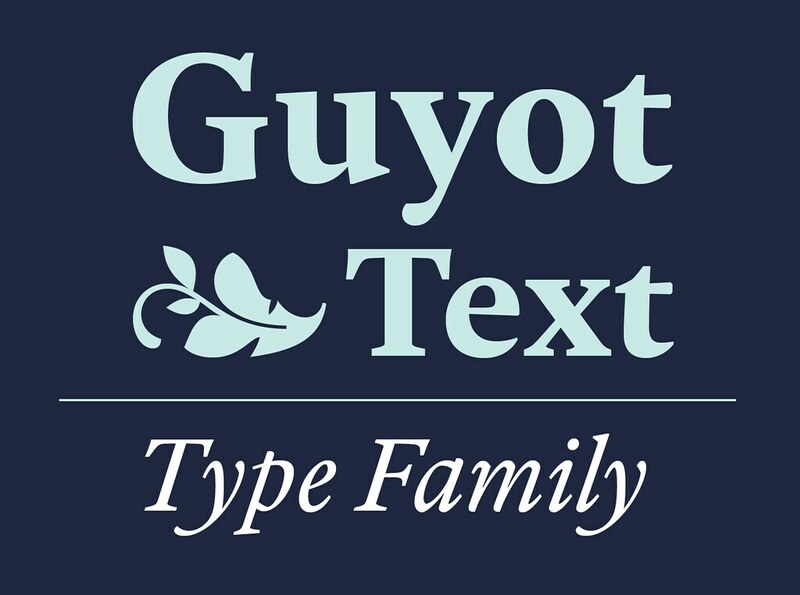 Guyot Text is fully equipped to tackle complex, professional typesetting. The character set includes small caps, fractions, alternate designs, ligatures, swash capitals, case-sensitive forms, fleurons, and six sets of numerals. Besides standard Latin, its extensive character set supports Central European, Baltic and Turkish languages. Nicely crafted, I like the texture and colour. to see if that would work!